This was part of an inter-generational Art project. It began with my two year old Grand daughter painting on a canvass. 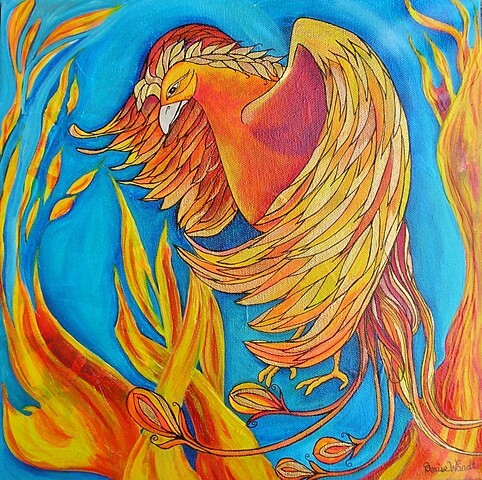 I could clearly see a phoenix in her painting.